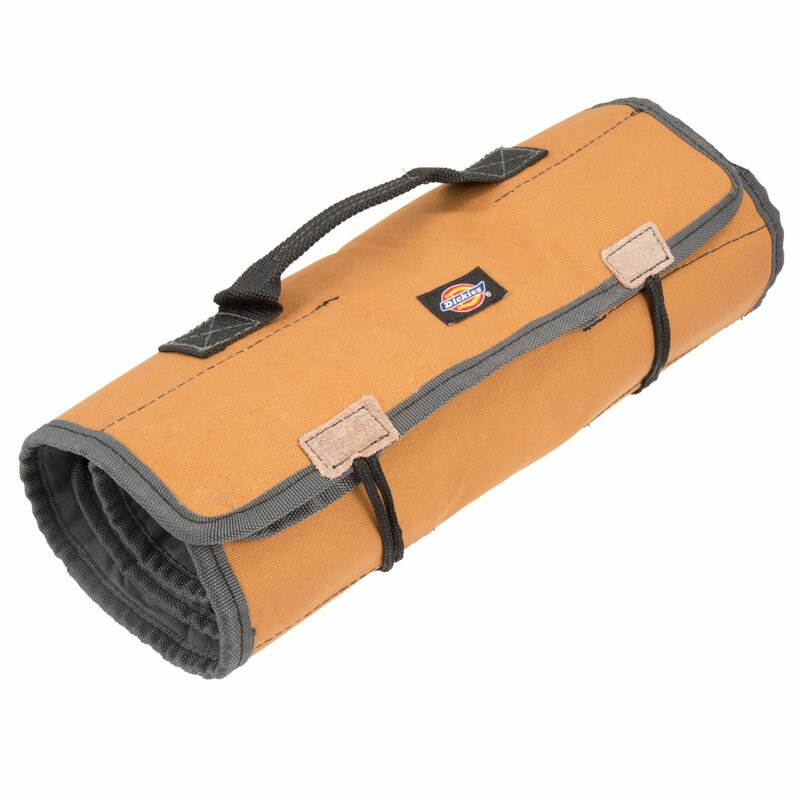 Tool rolls are great for conventional and gardening tools. I’m actually surprised that more gardeners don’t use them. They can save lots of time and hassle. You’ve got your secateurs, pruning saw, dibbler, spade, trowel, snips etc. by your side. The same applies to normal tools, of course. In this article, I’ll take a look at some of the best tool rolls on the market, as well as offer some general buying advice. Click here to jump to our in-depth reviews of the best tool rolls. What is a tool roll? Make sure you get a roll with the right size of pockets. 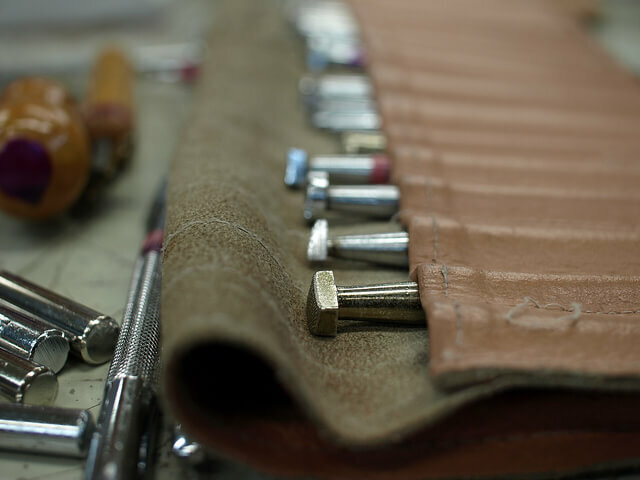 In essence, a tool roll is a flat piece of fabric with pockets. They can be rolled up and secured for moving or storing. They’re also great for providing easy access to your main tools and for protecting edged tools in a bigger toolbox or storage unit. As a gardener, I like to keep my smaller tools – secateurs, pruning saw, snips etc. – together for convenience. You need both! Boxes or bigger storage units are great for storing your tools in but rolls add that extra layer of convenience, especially in the garden when you’re moving around a lot. They’re ideal for keeping your most-used tools in, or collections of spanners, for easy access and portability. Good fabric: Look for thick leather, waterproofed canvas or strong polyester fabric. Double seams: Go for rolls with closely-placed, double seams. Waterproof: If you roll is leather, make sure it’s waxed. If it’s made from a synthetic fabric then look for the phrase “water resistant” (you won’t get fully waterproof). Metal or plastic clip buckles: Buckle clips tend to be sturdier and longer-lasting than alternatives. I’ve been a fan of Carhartt for a long time. 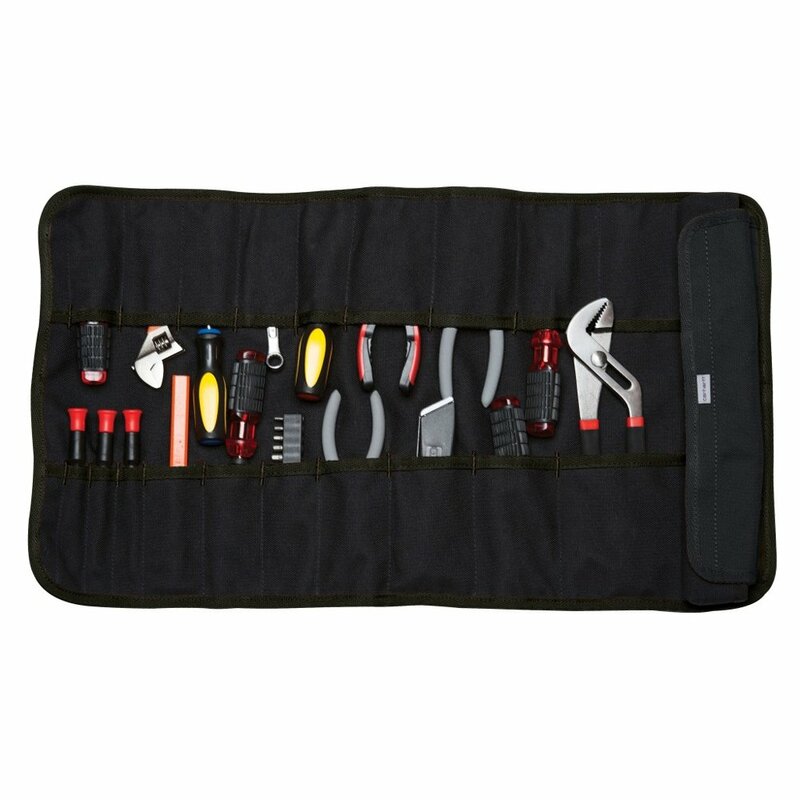 This tool roll is a great all-rounder and packs everything you need between its seams. It’s made of durable polyester and coated with a water repellent, which is a nice bonus. You needn’t worry about your tools getting wet, especially if you’re gardening. 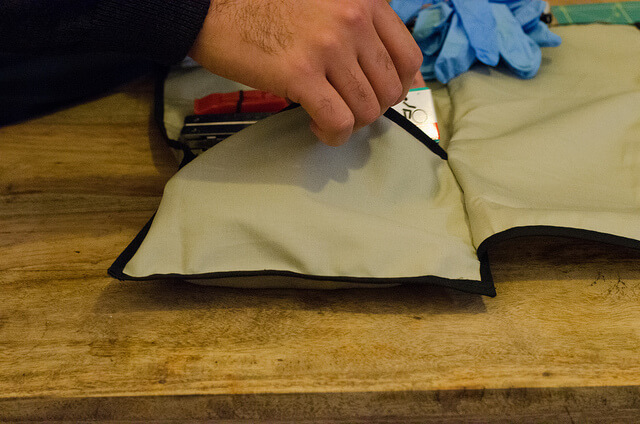 It has 18 pockets for your main tools along with 3 velcro-sealed pouches for parts. There are two plastic clasps to hold the roll shut and a handle. The overall design and quality are good and, at this price-point, you won’t get a better product. It’s suitable for everything from (smallish) garden tools to chef’s knives. I had to include this because of the way it looks. 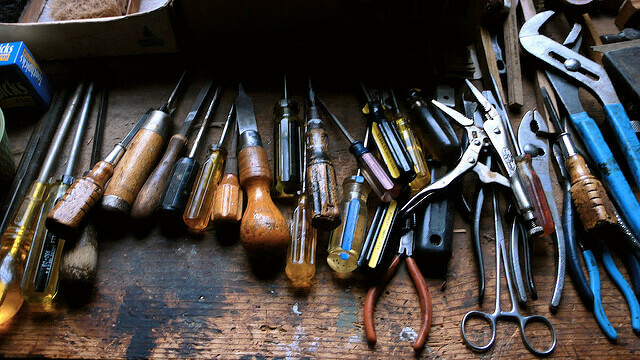 If you think I’m a loser for getting excited about the aesthetics of a tool roll…well, I suppose you’re right. 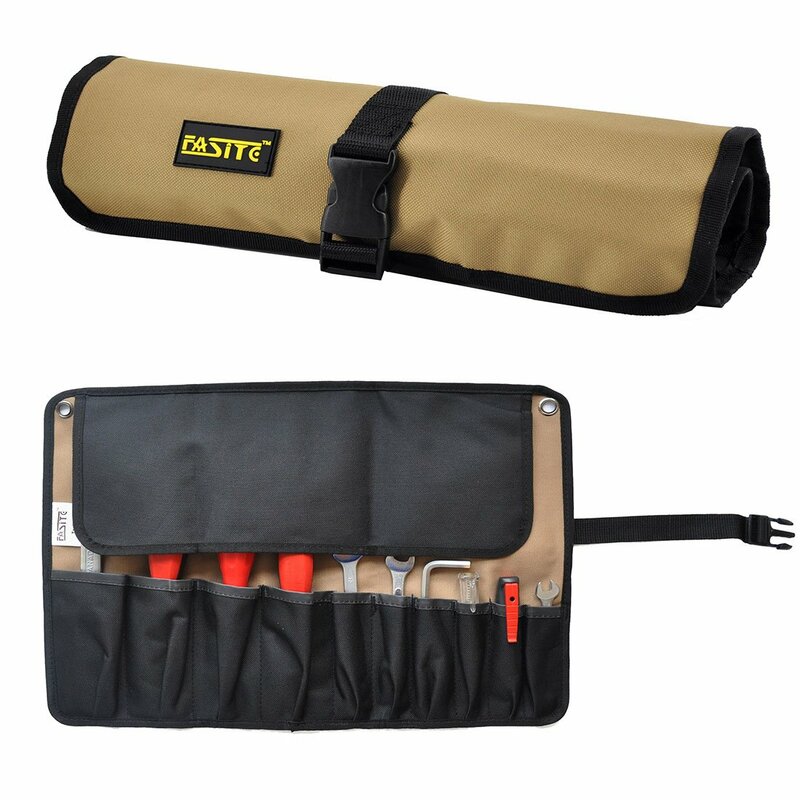 The brown/black colour scheme is wonderful and with 22 slots and 3 velcro pockets, it will do a fine job of holding your tools. The interesting feature (that the Carhartt one doesn’t have) is the interior loops, that further secure the tools being stored. Overall, my feeling is that this piece isn’t as well-made as the the Carhartt product but it still does the job well. The synthetic material is perfectly durable and long-lasting. This is a really nice piece of kit. It’s actually comparatively smaller than the other rolls on the list, so if you prefer something a little less obtrusive go with this one. It’s beautifully made and the stitching is sturdy. 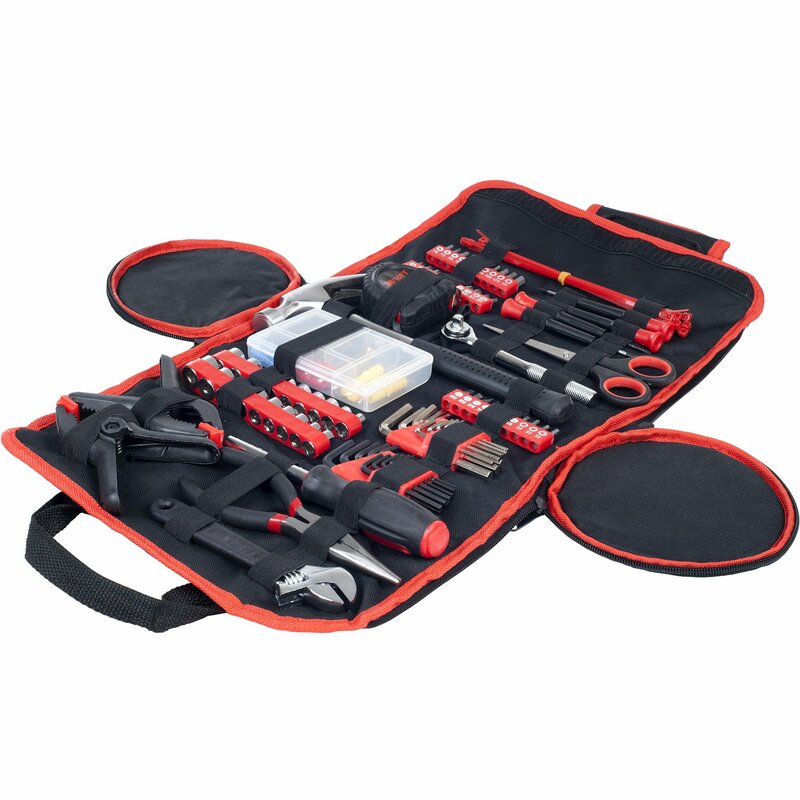 It’s made from durable cloth canvas and will hold 23 tools. There are a couple of other features that might sell you on this. First, it has drawstrings instead of clips which give it a more “rustic” feel and are great for tightening. The other great additions are two fold-over flaps that protect the tools by stopping them from rubbing together and secure them in place by virtue of their extra padding. And now for something completely different (apologies if you’re not a Monty Python fan). This roll is gorgeous. It’s made from genuine canvas (cotton as far as I can tell) which has been waxed to make it waterproof. It has a great faded look and feels wonderful. It would fit in perfectly in a backyard potting shed or mini-shed. It’s smaller than the other entries so is ideal if you’re not keen on the bigger products. It has six slots, most of which are large, and is very suitable for holding gardening tools, particularly if you’re only looking after a small space. It has a 100% leather belt buckle and a fold-over flap. Oh, and did I mention it’s handmade? 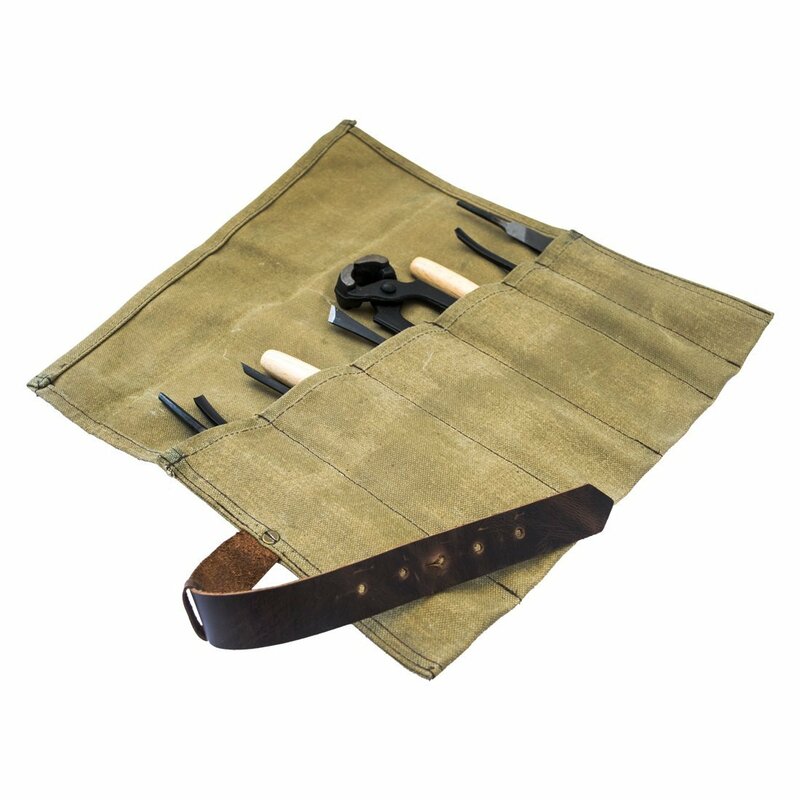 If you want a tool roll that’s midway between the big options and the smaller waxed canvas roll then this tool “pouch” will probably be your best bet. It has 10 pockets, a central holding strap and is made from strong water-resistant polyester. It is secured with clip buckles and adjustable straps. There is also a fold-over flap to prevent the tools from rubbing against each other. I must admit that I was impressed with the overall quality of this roll. If you’re not keen on the traditional design of the smaller product above then go with this one. The waterproofing, fold-over flap and durable fabric are all great features. It’s been made with a lot of care. What are your thoughts? Have you tried any of the rolls on this list? Leave a comment below and let me know! Image credits: Tools by Deepwarren; Bike tool roll by Cat Burston; Tools by PHIL.